Mainstream media the key to making zero-waste normal? 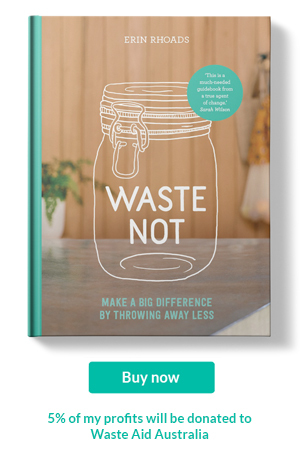 In May 2017 ABC aired the TV show War on Waste reaching 4.3 million Aussies. It kickstarted conversations across the country with viewers paying closer attention to what they were throwing into their bins. The ABC's war on waste didn't end after the second series was shown this year either. If you pay attention you'll notice many programs and digital content created by the ABC are continuing to encourage us to rethink our plastic use and how much we throw away. This is highly commendable and I applaud them for their commitment, but we all know the ABC doesn't have the viewership that commercial TV does. 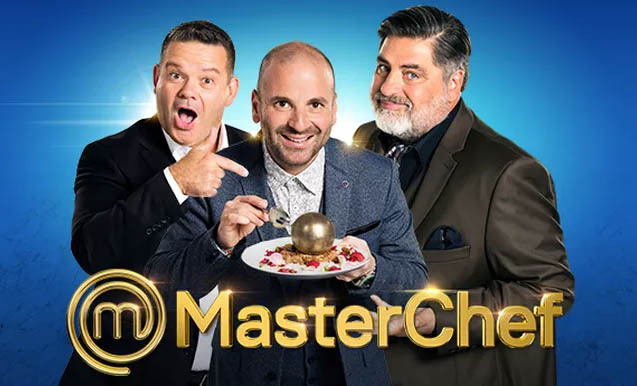 When the War on Waste hit our screens Masterchef on Channel 10 still out performed in viewers for each metro city. While the War on Waste was fantastic and necessary viewing, what we need is for these messages to make their way into more mainstream shows like The Block, Masterchef and even sporting events, because it turns out the most watched TV shows in Australia are our football Grand Finals....and a show called Australian Ninja Warrior?? I got the stats from ad news. If we can convince these TV stations to weave messages to reduce plastic use, composting, rethinking food waste then this whole movement we are trying to push would pick up pace because it would appear normal. This would then lead to further changes by businesses if they see more consumers wanting to buy everyday items like food without all the excess packaging. Let's look at our bins and what is making up most of it - FOOD! 40% of our bins are comprised of food scraps. That's almost half. When our food goes to landfill we are throwing away water and energy used to grow and ship our food, plus the farmers time and hard work. It's also a waste in landfill because the nutrients that could go back into the earth simply don't. Organic matter like food doesn't break down in landfill. It either becomes a liquid or mummifies, all the while creating methane a damaging greenhouse gas. If TV shows like My Kitchen Rules, MasterChef Australia and The Block started integrating messages on food waste and composting (and plastic, because I think plastic packaging contributes to the problem in a big way!) we’d see change faster. It would help make the practice of diverting food from landfill a normal practice. For instance The Block could make worm farms and composting a feature. How simple! Buying vegetables without plastic, reminding viewers that writing a shopping list will reduce waste can be easily integrated within the Masterchef dialogue. A visible food scraps bin so viewers can see the contestants putting scraps within. Then repeat these actions throughout the season so that by the end it looks normal. It might seem farfetched, but then I never thought we'd ever see a TV show dedicated to a war on waste! If you think it's possible I'm going to invite you to help write emails, letters and comment on their social media letting the commercial TV stations to prioritise these messages. 50% of the food Australian's waste is in our homes and household bins are made up of 40% food that could be composted. If all Australian's kept organics out of their bins then what we send to landfill could almost be cut in half. Since your TV shows are so popular I believe integrating the messages mentioned above would help Australians make some much needed changes. If you would like to discuss further, I'd be happy to share more idea. I enjoy watching (insert tv show here) but would love to see you help raise awareness on reducing waste especially food waste and teaching Aussies about how easy it is to composting/worm farms. 50% of the food Australian's waste is in our homes and our household bins are made up of 40% food that could be better used as compost. If all Australian's kept organics out of their bins then what we send to landfill could almost be cut in half. Since your TV shows are so popular I believe integrating the messages mentioned above would help Australians make some much needed changes.